This is a charming little book. I heard about it from Melissa Wiley -- she's always talking about what she's reading with her kids over on her blog (and I'm so glad! She is an author of books for young kinds including Fox and Crow are not friends, which I reviewed last week). 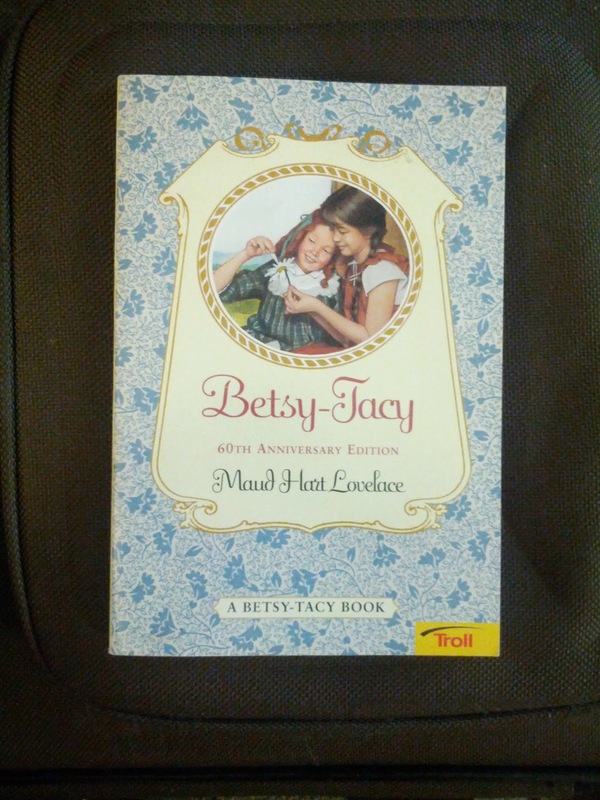 Betsy and Tacy are two sweet five-year-old girls who meet when Tacy moves to Hill Street. What made the story extra interesting to me was that it is written in the 1940's and set a bit further back than that, being autobiographical for the author. 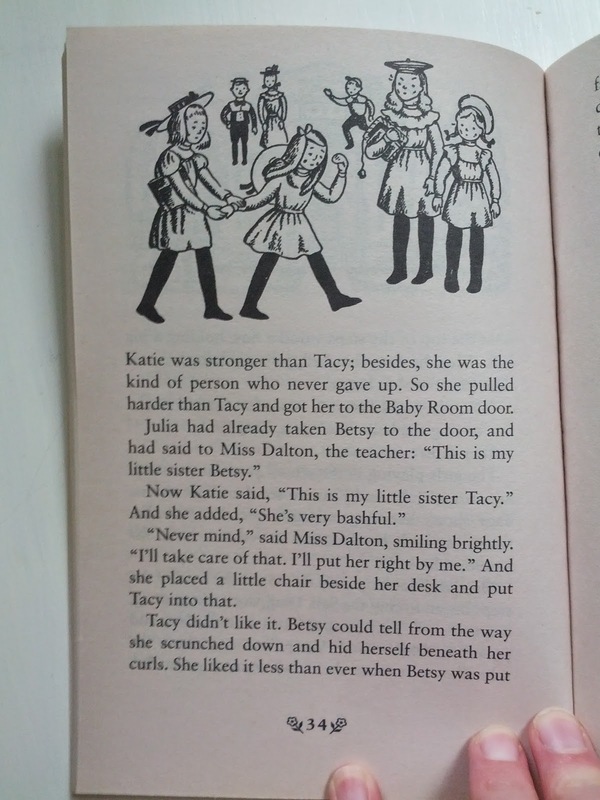 "Betsy is like me," the author says in the back of the book. "Except I glamorized her to make her a proper heroine." I love it. 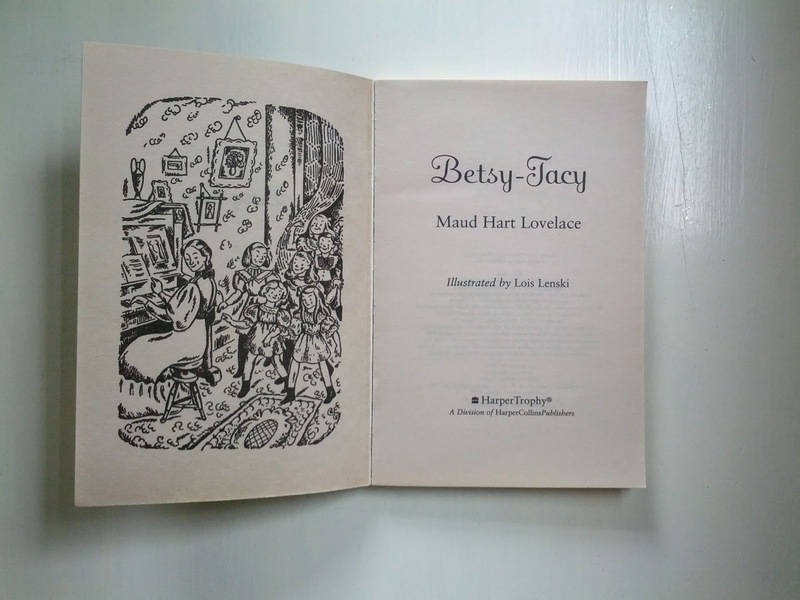 The illustrations are by Lois Lenski and are also totally charming. I mean paper dolls you cut out of magazines? That's old school. All my paper dolls came from punch-out paper doll books. 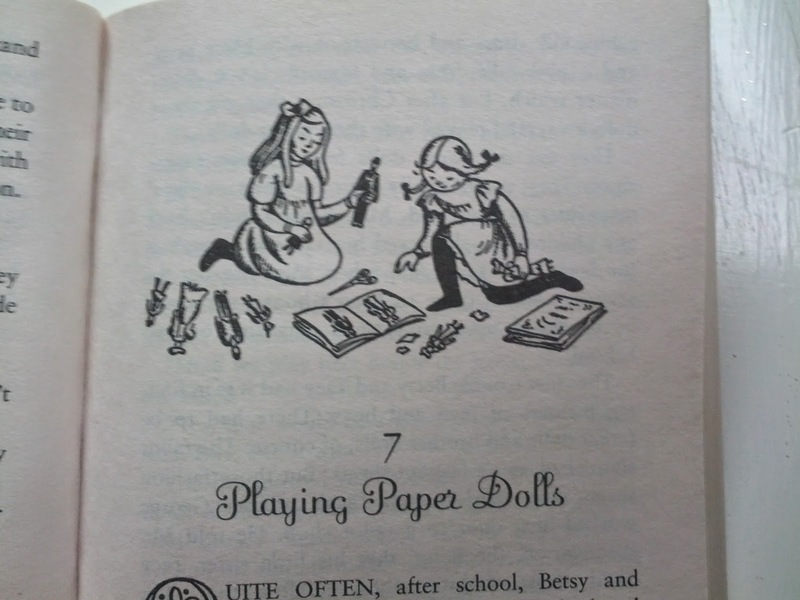 The book did make me laugh with how totally realistic it is -- I loved the complicated relationships that Betsy and Tacy had with their older sisters. The book was as real to me as Hilary McKay's books about the Casson family (and that's high praise). to the first day of school. No. They go to "the Baby Room." I was SO intrigued to find out the the series continues all the way until Betsy gets married! Now I like that. In so many of these series, the protagonist never gets much older. To follow someone through childhood and into adulthood, that's interesting. I'll be looking for the next books, but not in a great rush. I have a feeling I'll want to savor these slowly, and I won't forget about them in the meantime. Everead reviews of Hilary McKay's books about the Cassons: Book One, Two, Three, Four, Prequel. If you make a purchase after clicking one of these links, I will earn a small commission. Thank you! Story Club: You Don't Join It, You Start It.